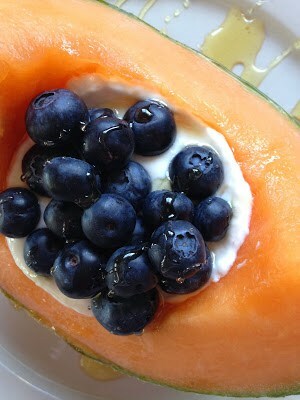 Try fruit for breakfast, lunch or a snack. It doesn’t get any easier than this. 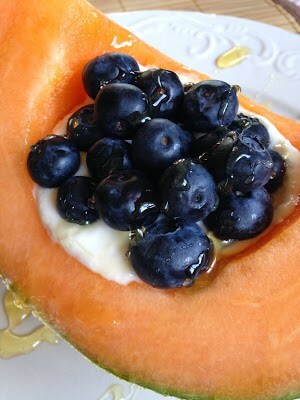 Cantaloupe & blueberries with lemon yogurt is about as good as it gets. You can use any flavor yogurt you like or substitute cottage cheese. Drizzle on some honey and you’re good to go! 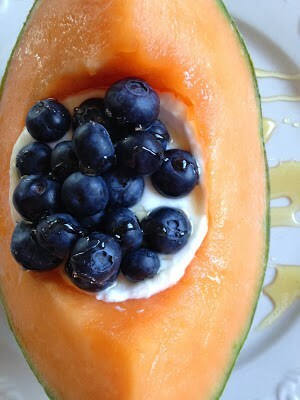 When fresh cantaloupe is in season and available at your local farm stand, this recipe really takes a step up. Add some fresh blueberries and it’s a wow! This recipe, if you want to call it that, is simple yet versatile. I love lemon yogurt but my first love is key lime. Greek, creamy-style works the best here and key lime yogurt paired with kiwi would be wonderful or strawberry yogurt with fresh sliced strawberries another great pairing. The possibilities are endless. With all of the different flavors of Greek yogurt…heck use your imagination and get nuts. 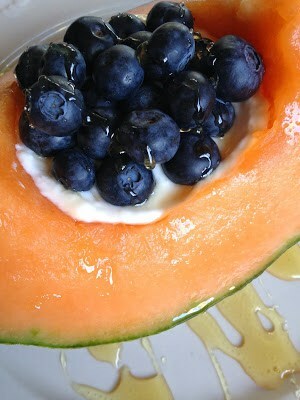 Cut cantaloupe in half, scoop out seeds, discard. 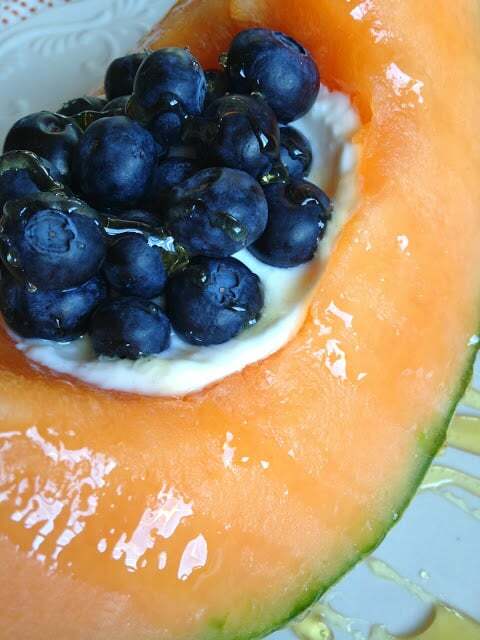 Spoon Greek yogurt into middle of cantaloupe. Great idea… would be great for a brunch with friends… looks yummy and good for you too! Blessings!